If it's UFC, it's at The Hideaway! Our sports are a hit (and our food and drinks are pretty popular too), so join us for UFC at our Bend and Redmond locations all December. 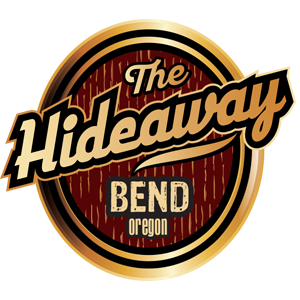 Our sports are a HIT at The Hideaway! Let us hit you with all the Pay-Per-View action as Holloway takes on Ortega Saturday, December 8th. Prelims start around 5pm, main card at 7pm. Get there early to get a seat ($10 at the door), or reserve a you-pick seat ahead of time and show up when you like--it's yours to keep all night for $15. Call to reserve! Things at The Hideaway are better in two's! This includes UFC. Join us for a double battle on December 29th when Jones takes on Gustaffson for the second time and Cyborg vs. Nunes in a battle among the women. Ten dollars at the door gets you in, or reserve your you-pick seat ahead of time for $15 and it's yours to keep all night! Prelims start at 5pm, main card at 7pm. If you don't have a reserved seat, get there early or you might miss out (no general admission availability is guaranteed).